Yesterday something funny happen to me. While I was waiting on a customer, I over heard a man saying that he didn't understand why black people were so angry. He went on to say, black folks should be happy, they have their black President, the rappers were getting rich and they are free. What more do they want? So what if Trayvon Martin died, he was a thug anyway and besides that most black people are killing their own kind. What blacks should be doing, he went on to say, is get angry when their brothers or sisters are getting shot up and killed everyday in their streets. While I was sitting at my desk all I could say to myself was oh my God, I can't believe he said that! Yes he was right by saying that African Americans should be upset and ashamed that we are killing our own kind. But what he didn't understand is that we have been suffering and have had many unjust things done to us for more than a hundred years. 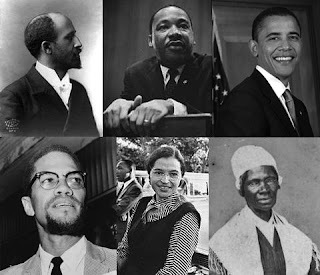 Even though there are many successful African Americans, we are still not equal with our peers. Blacks have to work three times harder and when they make a mistake they are judged more harshly than their white counterparts. Even when a white person slips up and says the N word, blacks still have to take it. Because their only response is well you guys say it in your songs and even call each other that name playfully. What they don't understand is that black people own that word. Even though it was a word that meant to harm , some black people use that word as motivation. This derogatory word, inspired Martin Luther King to make his I have a dream speech, encourage Rosa Parks to sit at the front of the bus and angered Malcolm- X enough to demand justice. No America, you could never understand what it means to be black in America. Because being black means that you not only have to be better for your family, but it also means that black people have to be three times better than everyone else. Why are we mad that one of our young black men was killed and the killer was set free? If I have to answer that question , then you really don't understand what it means to be black in America. Write in then express your thoughts or views on the subject. After reading this blog I encourage you to watch the video above.